UFC lightweight champion Anthony Pettis (pictured) will make his first title defense when he battles Gilbert Melendez on December 6. That date is currently set for UFC 181 at a yet-to-be determined venue in Las Vegas, Nevada. UFC president Dana White previously stated the 155-pounders would collide at their end of the year extravaganza, but it appears the promotion had a change of plans. Pettis and Melendez are currently serving as opposing coaches on “The Ultimate Fighter 20,” which features the first all-female cast in the reality show’s 20-season domestic run. Melendez hit the free agent market after October’s instant classic unanimous decision victory over Diego Sanchez at UFC 166. “El Nino” lost to then-lightweight champion Benson Henderson for the title in his long-awaited UFC debut before that. 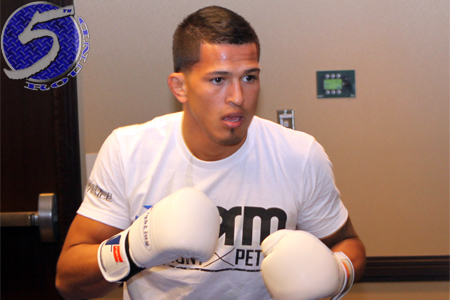 Because of various injuries, primarily to both knees, Pettis has only fought three times since February 2012. “Showtime” was last seen in August submitting Henderson to capture the crown at UFC 164. The 27-year-old was slated to defend his strap against Josh Thomson at UFC on FOX 10, but withdrew to undergo knee surgery. No other bouts have been reported for the lineup thus far.